the casts and crew of the movie. 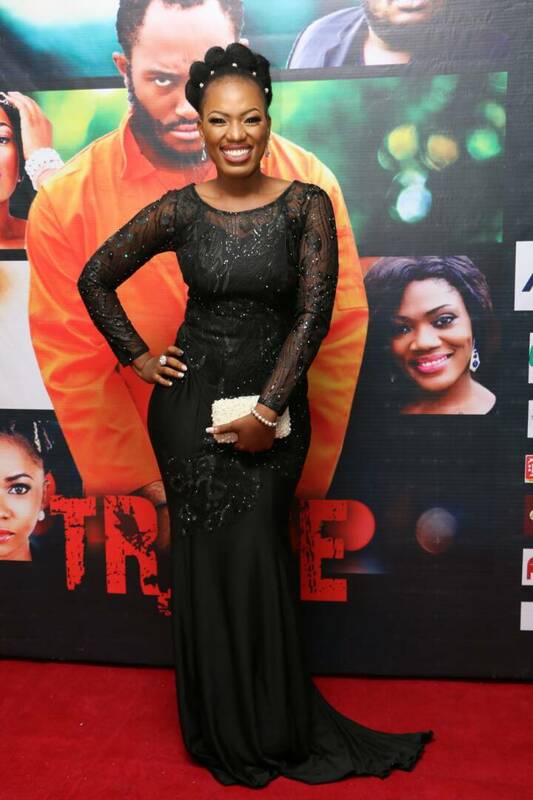 Nollywood actress and fast-rising producer, Yvonne Enakhena, on Friday, July 14, 2017, took Nigerians on another exciting movie journey with her first-ever produced movie titled TRACE which was screened privately at Silverbird Cinemas, Ikeja, Lagos. 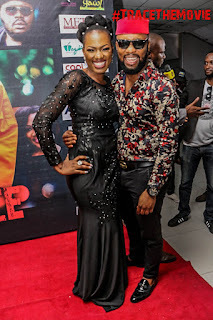 The night witnessed a slew of colleagues from Nollywood and friends come out to support and show the producer some love including Kemi Afolabi, Kelechi Udegbe, Paul Utomi, Tope Alake, Madu Moc, Taurus Brutus, Stan Nze, Becky Bobby amongst others. ‘TRACE’, produced by White Dove Productions and directed by Olu Alvin, stars a number of Nollywood big shots including Blossom Chukwujekwu, Bayray Mcwinzu, Gregory Ojefua, Yinka Pearce, and Yvonne Enakhena herself. The Movie tells the story of a young couple Uyi (Blossom Chukwujekwu) and Ivory (Yvonne Enakhena) who, on the day of their wedding anniversary, receives mysterious packages which lead to the revelation of dark secrets from their past and threatens their marriage. 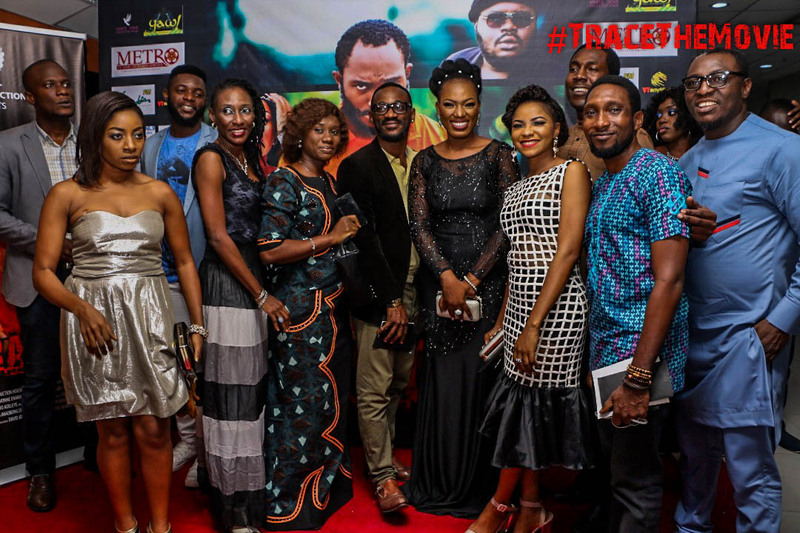 Trace has been scheduled to be in cinemas from July 28, 2017.